Boston, Massachusetts is a beautiful, historic get away that you will want to visit more than once. Hotel accommodations in the downtown area make getting to destinations very convenient. In the city of Boston, you can leisurely walk along the red brick sidewalks that mark 2 1/2 miles of the 'Freedom Trail'. While on this trail you can tour many of the spots and events you studied about in school that led to our nation's freedom. The first public school in America is located on downtown School Street. While on the tour stop and visit 'The Old South Meeting House' where the plans were formulated for 'The Boston Tea Party'. Trolley tours offer a delightful ride with drop off and pick up service at the sites along the 'Freedom Trail'. After the historic sites have been visited try out any of the local restaurants and pubs for their culinary specials. Boston has wonderful bakeries in the ethnic sections of downtown. Ask any of the locals about their favorite bakery and they will steer you in the right direction. For a warm, comfortable dining experience try 'Cheers'. This is the establishment that built the framework for the television show 'Cheers'. Boston, Massachusetts is a vacation spot for the young and young at heart. Shopping, dining, and historic landmarks are all apart of the attraction to this welcoming city. 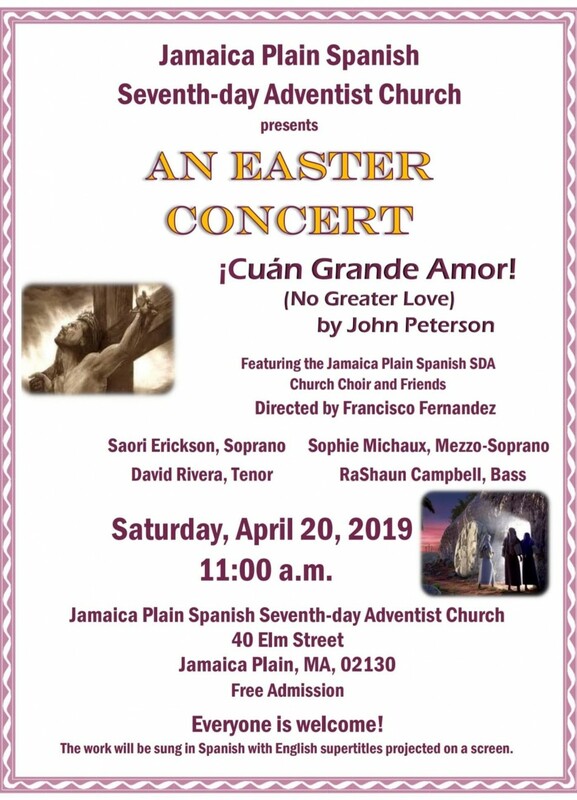 20AprAn Easter Concert ‎¡‎Cuan Grande Amor!/ No Greater Love!